This is the list of the top ten largest sport stadiums by capacity in the world. There is so much money, time and passion that goes into sports, no wonder they build a stadium big enough to fit all of it in. I hope you enjoy! Rungnado May Day Stadium or May Day Stadium, is largest stadium of the world. 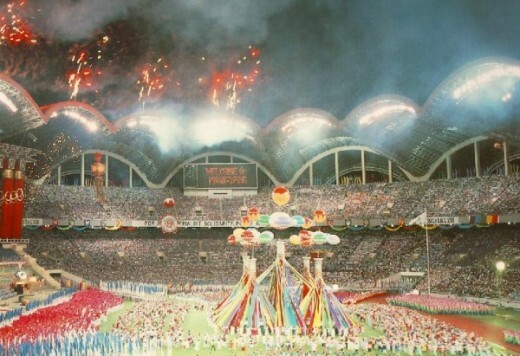 Stadium is a multi-purpose stadium in Pyongyang, North Korea, completed on May 1, 1989. 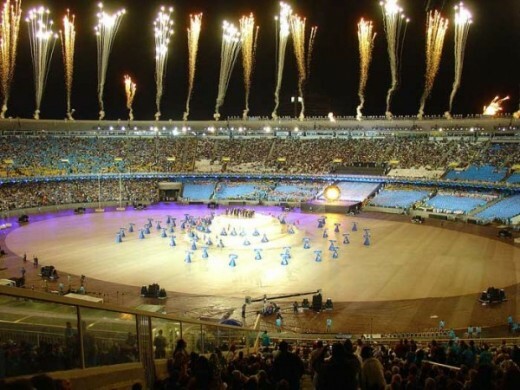 The stadium was constructed as a main stadium for the 13th edition of World Festival of Youth and Students in 1989. It is currently used for football matches, a few athletics matches, but most often for Arirang performances (also known as the Mass Games). The stadium can seat 150,000, which is the largest non-auto racing stadium capacity in the world. Its name comes from Rungra Island in the Taedong River, upon which it is situated, and May Day, the international day celebrating labour and particularly celebrated among communists. Its scalloped roof features 16 arches arranged in a ring, and it is said to resemble a parachute or a magnolia blossom. Salt Lake Stadium The stadium is the second largest non-auto racing stadium in the world and the largest in the Indian sub-continent. It is currently used for football matches and athletics. The stadium was built in 1984 and holds 120,000 people in a three-tier configuration. It is situated approximately 10 km from the heart of the city. It is elliptical in shape. The roof is made of metal tubes and aluminum sheets and concrete. There are two electronic score boards and control rooms. The lighting is uniformly distributed to facilitate nocturnal sports. The stadium covers an area of 76.40 acres. It was inaugurated in January, 1984. The salient features of the stadium are unique synthetic track for athletic meets, electronic scoreboard, main football arena measuring 105m x 70m, elevators, VIP enclosures, peripheral floodlighting arrangement from the roof-top, air conditioned VIP rest room and Conference Hall. Estadio Azteca is a stadium in Mexico City, Mexico. It is the official home stadium of the Mexico national football team and the Mexican team Club América. Estadio Azteca was the primary venue for association football at the 1968 Summer Olympics and is the only stadium ever to host two FIFA World Cup final matches, in 1970 and 1986. It also hosted the 1986 quarter-final between Argentina and England in which Diego Maradona scored both the “Hand of God goal” and the “Goal of the Century”. The stadium also hosted the “Game of the Century”, when Italy defeated Germany with scores of 4-3 in extra time. Estadio Azteca Stadium is third largest in the world. Michigan Stadium nicknamed The Big House, is the football stadium for the University of Michigan in Ann Arbor, Michigan. Michigan Stadium has often been called “The Carnegie Hall of all Sports” and is also known as “the House that Yost built. It was built in 1927, at a cost of $950,000 and had an original capacity of 72,000. Before playing football at the stadium, the Wolverines played on Ferry Field. 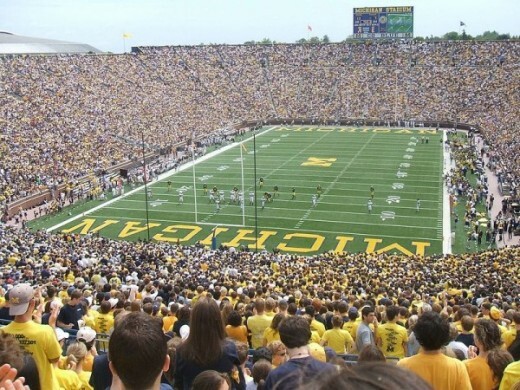 Today, Michigan Stadium has an official capacity of 106,201, due to renovations for the 2008 season. The stadium previously had a capacity of 107,501 spectators. 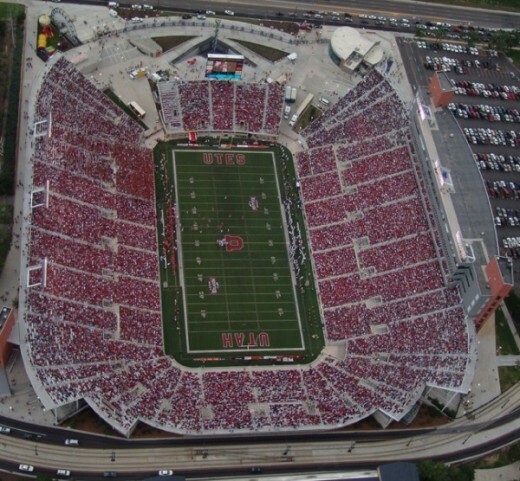 The football game attendance often exceeds 111,000 when band members, stadium staff, and others are added. Michigan is 4th largest in stadium in the world. Beaver Stadium is an outdoor college football stadium in University Park, Pennsylvania, on the campus of The Pennsylvania State University. 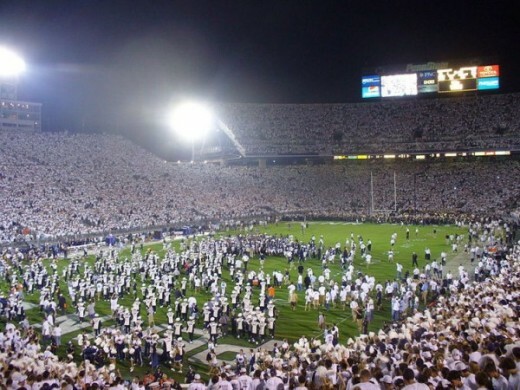 It is home to the Penn State Nittany Lions of the Big Ten Conference. Beaver Stadium has an official seating capacity of 107,282, making it currently the largest stadium in the Western Hemisphere and the 5th largest in the world. Jornalista Mario Filho is an open-air stadium in Rio de Janeiro, Brazil. 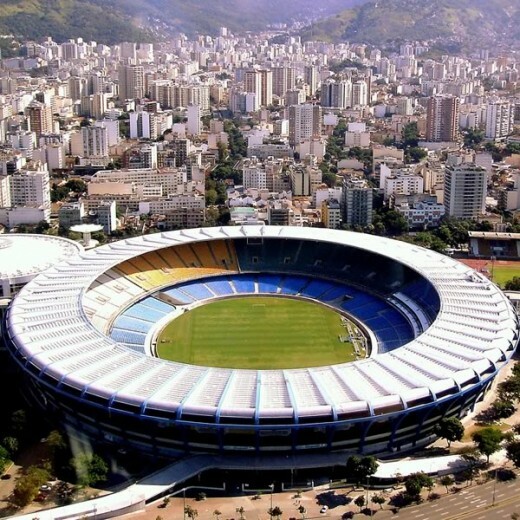 Owned by the Rio de Janeiro State Government, it is named after the Maracanã neighbourhood in Rio de Janeiro. It was opened in 1950 to host the FIFA World Cup. Since then, it has mainly been used for football matches between the major football clubs in Rio de Janeiro, including Botafogo, Flamengo, Fluminense and Vasco da Gama. It has also hosted a number of concerts and other sporting events. Although the paid attendance at the final game of the 1950 FIFA World Cup was 199,854, the stadium currently seats 82,238 spectators. It is the largest stadium in South America and 6th largest stadium of the world. It is due to host the World Cup Final in the 2014 World Cup, becoming the second stadium to host football’s most important match twice after the Estadio Azteca in Mexico City. The stadium will also be the centrepiece of the 2016 Summer Olympics and 2016 Summer Paralympics as the site of ceremonies and the football finals, besides the FIFA World Cup in 2014. 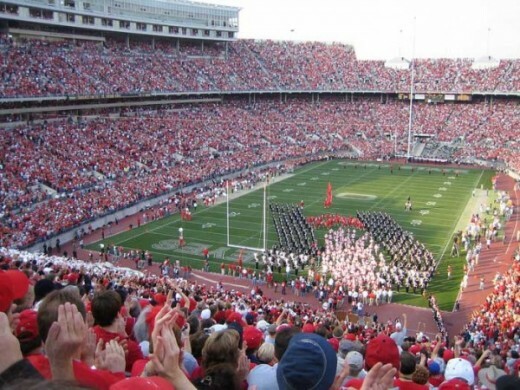 Ohio Stadium is the home of the Buckeyes football team at The Ohio State University in Columbus, Ohio, United States. The stadium was added to the National Register of Historic Places by the National Park Service on March 22, 1974. Ohio Stadium also provided a home to the Columbus Crew of the MLS from the league’s inception in 1996 until soccer-specific Columbus Crew Stadium opened in 1999. With a capacity of 102,329, it is the third largest stadium in the NCAA and the 7th largest non-racing stadium in the world. Ohio Stadium is also a concert venue; U2, The Rolling Stones, Pink Floyd, and Metallica are among the many acts who have played at Ohio Stadium. Neyland Stadium is a sports stadium in Knoxville, Tennessee. It serves primarily as the home of the Tennessee Volunteers football team, but is also used to host large conventions and has been a site for several NFL exhibition games with the last between the Washington Redskins and Houston Oilers during the Oilers transition to Nashville in 1998. 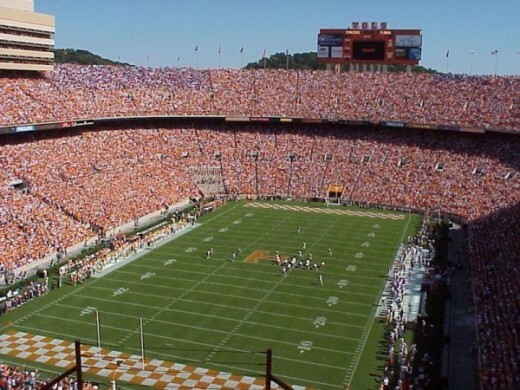 After 79 years and 16 expansion projects, Neyland Stadium peaked at an official maximum capacity of 104,079 seats. Capacity was reduced to 102,037 with the addition of the new East Club seats in 2006. Due to the addition of the new West Club seats in 2009, the capacity currently stands at 100,011. Neyland stadium is 8th largest stadium of the world. National Stadium Bukit Jalil in Bukit Jalil, located in the National Sports Complex to the south of the capital city of Malaysia Kuala Lumpur, is a 87,411 capacity all-seater, multi-purpose stadium that was built in 1998 to host the 1998 Commonwealth Games. 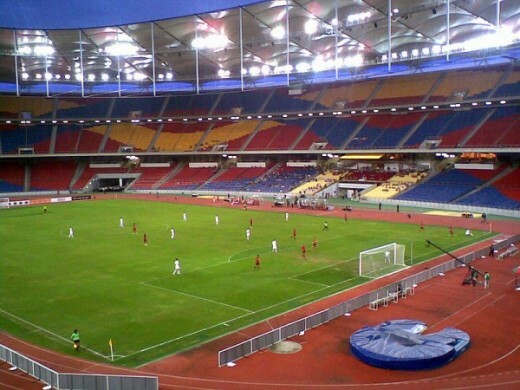 The stadium is considered the best stadium in Malaysia and is the home of the Malaysian football team. Initially built for the Commonwealth Games, the stadium is now used for a variety of events, most recently being one of the venues for the AFC Asian Cup 2007. National Stadium Bukit Jalil is 9th largest stadium of the world. Melbourne Cricket Ground is an Australian sports stadium located in Yarra Park in inner Melbourne, home to the Melbourne Cricket Club. It is the largest stadium in Australia, and holds the world record for the highest light towers at any sporting venue. The MCG is within walking distance of the city centre, and is serviced by Richmond and Jolimont train stations. It is part of the Melbourne Sports and Entertainment Precinct. Internationally, the MCG is remembered as the centrepiece stadium of the 1956 Summer Olympics and the 2006 Commonwealth Games. The open-air stadium is also one of the world’s most famous cricket venues, with the well-attended Boxing Day Test match commencing on Boxing Day every year. Throughout the winter, it serves as the home of Australian rules football, with at least one game (though usually more) held there each round. 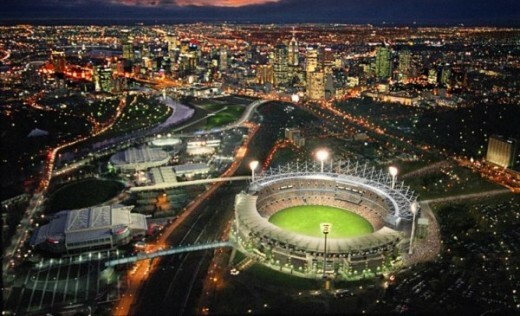 The Melbourne stadium is 10th largest stadium of the world.